In yet another example of climate denial and lip service to climate resiliency, the Miami-Dade County Commission approved land use and zoning changes on May 17, 2018, that will allow mega mall developer Triple Five, along with The Graham Companies, to replace wetlands and farmland for the largest mega mall in the United States in Southeast Florida. With this latest decision, we have yet another example of a county commission that fails to see that the “emperor has no clothes”. Despite concerns raised by community leaders, environmentalists and impacted residents, the county commission voted 9 to 1 to approve the applicant’s requests. Commissioner Daniella Levine Cava was the only NO vote. In a tweet, she stated “I can't support the approval of such a massive development that promises mostly low paid jobs, horrendous traffic, and that undermines the objectives we have for core transit development”. 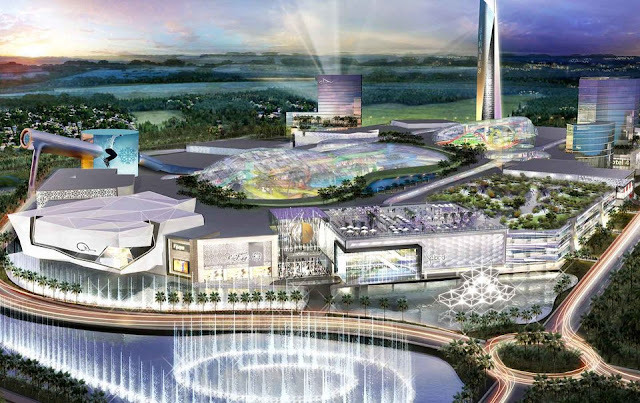 In what should be referred to as the “American Nightmare Mall’, developers want to build the largest mega mall in the United States close to the Everglades, bringing traffic gridlock to the edge of the county and consuming enough to power upwards of 1,400 mw/hr or enough to power nearly 40,000 homes a day. In an age of climate change and sea level rise, developing this low-lying area is an epic mistake. This project is the wrong vision for South Florida. “The scale of this thing is just wrong for a county that is failing to address so many issues. To say, well, this is far away from the coasts, it’s naive. And, it’s not just about traffic. 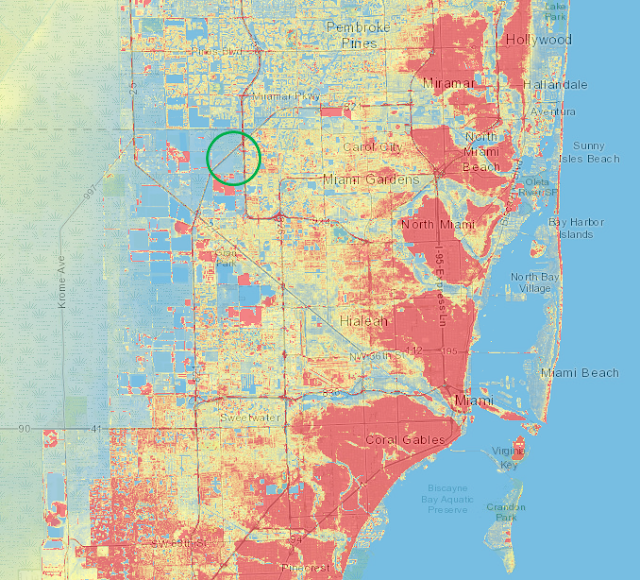 When I consider the climate-related challenges we’re facing, this is the wrong way to go.” - Diana Umpierre, Organizing Representative for the Sierra Club’s Everglades Restoration Campaign, who lives just 5 miles away from proposed site and at one time helped carry out sea level rise mapping for Southeast Florida. Derek Cintron, Miami Lakes resident: "The 'mega-mall and friends' project clearly is not a case of the needs of many outweighing the needs of a few. In this case, the wants of a couple of developers are being considered by the government more than the needs of hundreds of thousands of residents." What’s being proposed and why is it bad for South Florida? - 6.2 million sq ft for a retail/entertainment complex. Click here to see details. ● It will be the largest Mega Mall of its kind in the United States, attracting over 30 million visitors per year into our already congested roads and highways. ● It will create mostly low-paying jobs, below current average wages, NOT jobs with living wages that our communities need. ● It will destroy wetlands that recharge the Biscayne Aquifer. ● It will be at the very edge of the county’s Urban Development Boundary, next to a future Everglades restoration project, ~ 5 miles from our water conservation and wildlife management areas and ~ 15 miles from Everglades National Park. ● It will have huge energy demands from our existing power plants (over 1,400 MW-hr of maximum daily electric power demand), which means more CO2 emissions. ● It will send large volumes of solid waste to our landfills (over 130,000 pounds of solid waste per day). ● It will need large amounts of water supply (~1 to 2 million gallons of potable water daily and ~ 114 thousands of gallons of non-potable water for mostly irrigation). ● It will require significant removal of native muck soils for construction-grade fill. ● It will hurt small retail business owners and existing malls and shopping centers, displacing many jobs from one location to another. ● It will exacerbate regional light pollution, with more artificial lighting affecting neighboring communities and nearby ecologically sensitive areas and producing a glow that will be visible deeper into the Everglades. ● The developer, Triple Five, has a history of asking for large local and state government subsidies that enable them to profit at taxpayers’ expense, such as Mall of America and American Dream Meadowlands. In fact, the developer has refused to put in writing that they will not seek public subsidies. ● Click here for an elevation map and maps showing the proximity of ADM site to conservation lands and future CERP Lakebelt projects for Everglades restoration. Miami Herald column by Fabiola Santiago on how American Dream Mall will make a bad commute hell on earth. Photos taken of the properties as they are today: undeveloped and predominantly jurisdictional wetlands.